The “Pro” version has several additional options for forms and form fields you can use in your registrations. 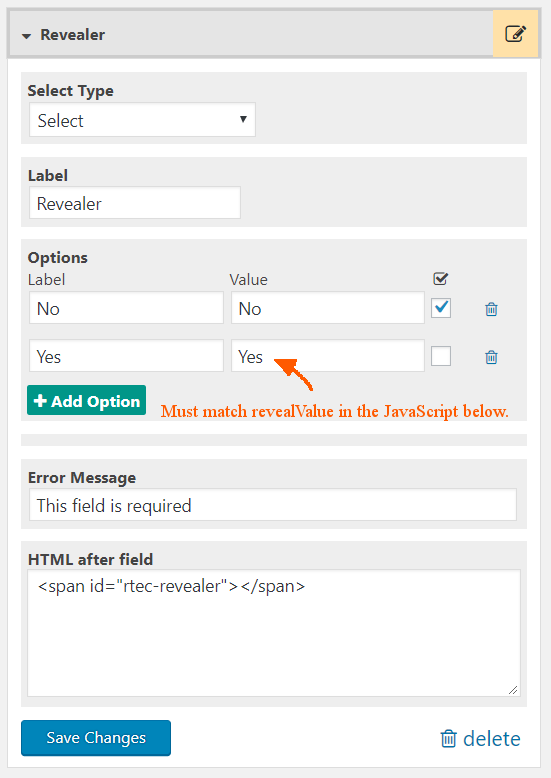 Use this guide for help with how to use the basic form builder. The form builder can be reached through a link on the “Form” tab labeled “Create/edit registration forms”. 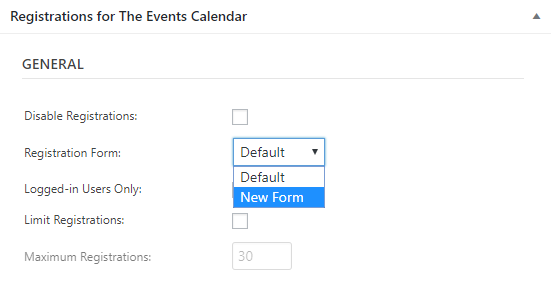 Here you can make changes to the default form, add new forms that you can assign to specific events, and create and modify form fields. Clicking on the edit icon will reveal forms and form fields to edit the nearby elements. Make sure to save your changes and save your form before leaving the page. Click on the dropdown select box near the top of the page to select a form to edit. 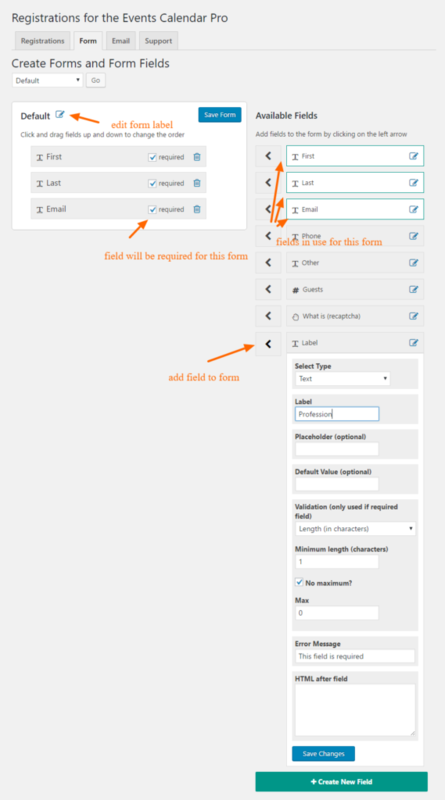 Select “Create a new form” to create a form from scratch. After selecting, click the “Go” button. You can now add existing fields from the right hand column by clicking on the left arrow button. Fields included in the form will be highlighted. 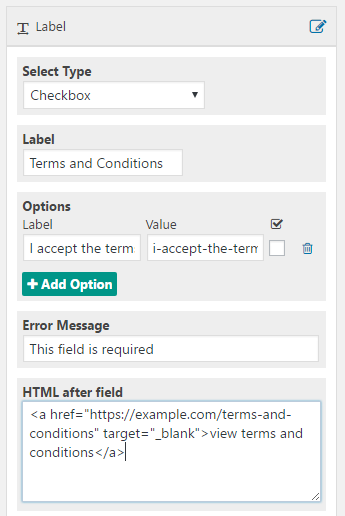 If you want the field to be required for that specific form, check the box to do so. If you need a new custom field, click on the big green button at the bottom of the right hand side of the page labeled “Create New Field”. A new field will be added to the bottom of the list with a default label “Label”. The options for this field will automatically drop down for you to configure. Make sure to save your new field. New fields added to a form will automatically be saved as well. Click on the edit icon (see first screenshot) next to the field to make changes to the label, field type, validation rules, and other options. Certain fields will only be available for certain field types. 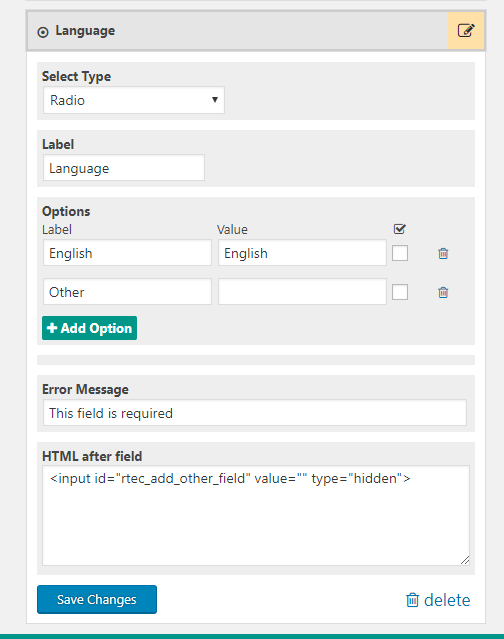 What Field Types are Available for Custom Fields? 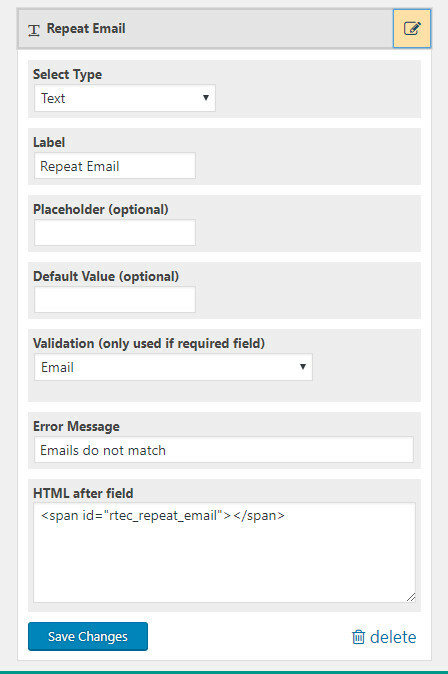 After adding this field to the form, click and drag the field so it appears in the form just after the “Email” field. *Note – The form will still submit if the fields don’t match and the attendee has entered valid email addresses in both fields though having the “Repeat Email” field should help attendees avoid entering an incorrect email address.